Report has confirmed that another suspected member of the Notorious Badoo cult group has been caught inside a building occupied by an old woman at the back of Access bank in Ikorodu, Lagos, this morning. 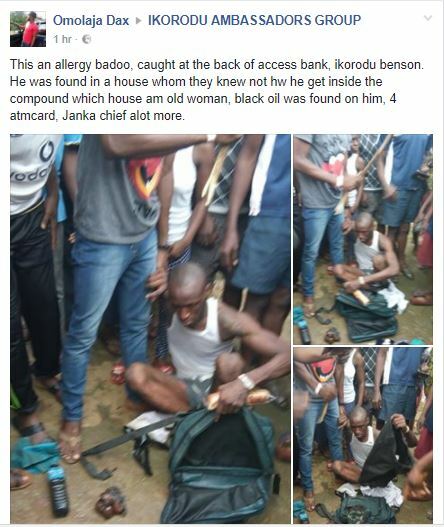 His bag was searched and among the items found in it was a bottle of black oil, four atm cards. 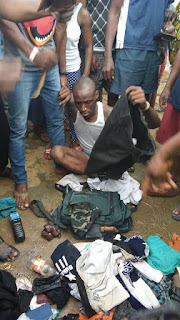 When interrogated, he could not explain how he got into the building. 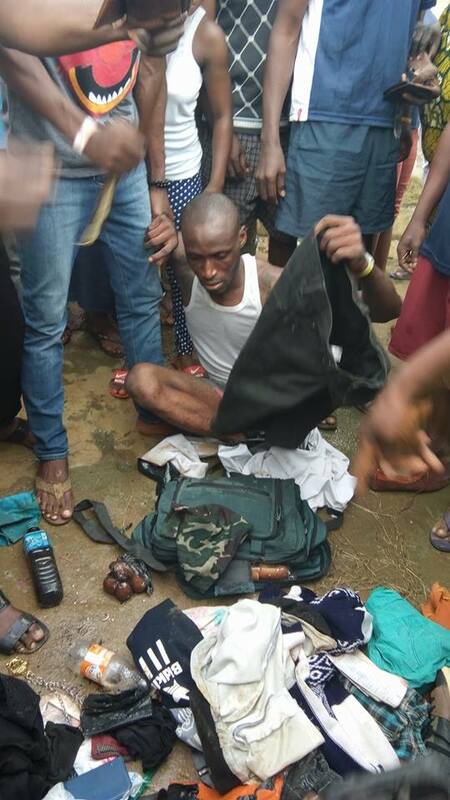 The suspect’s mother even came to the area as she confirmed the boy to be a bad boy. 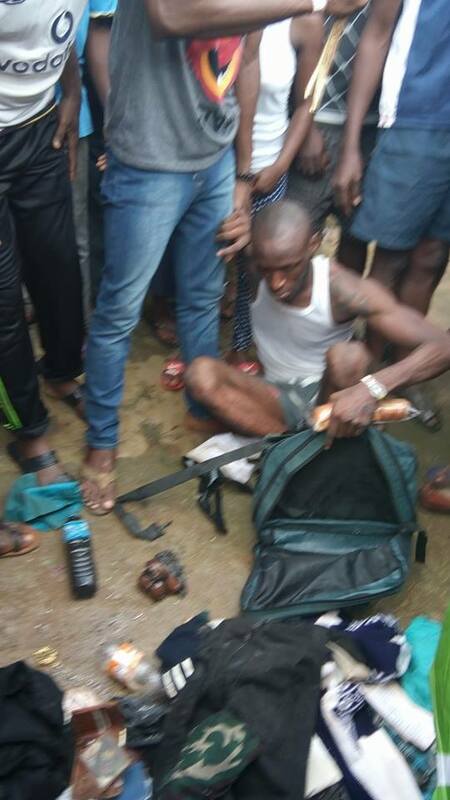 She reportedly showed people where she was injured due to cutlass attack from the young man. 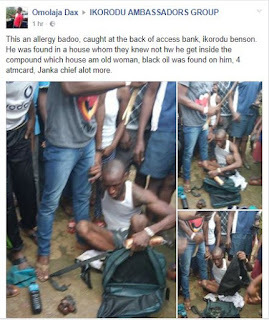 A Facebook user, Omolaja Dax,‎ who shared these photos, said confirmed that he was caught few hours ago at the back of Access bank in Ikorodu Benson area of Lags. 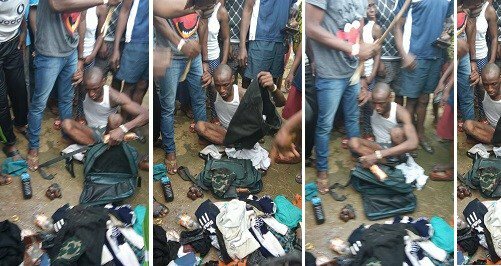 Report also confirmed that Soldiers were called to arrest the young man as residents prevented the police from taking him away.